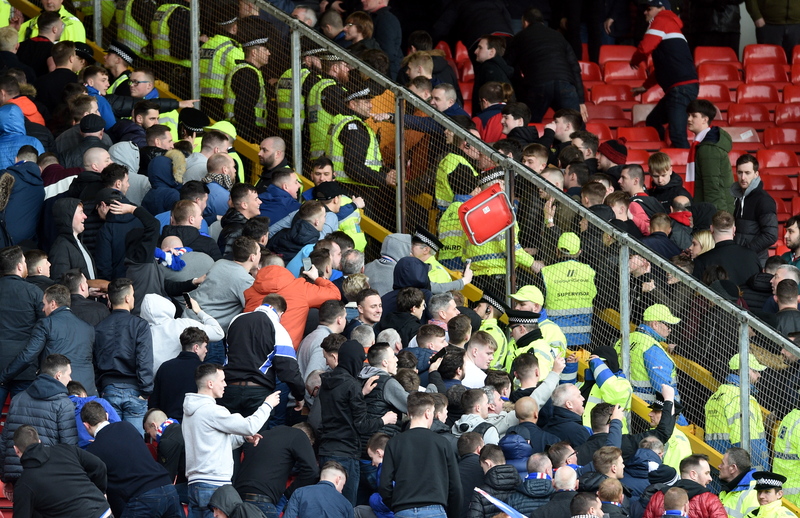 A football fan has been filmed throwing a seat into a crowd at Pittodrie during yesterday’s Aberdeen v Rangers Scottish Cup match. The incident happened amid calls by Scotland’s justice secretary for “serious measures” to tackle football hooliganism across the country. The supporter was caught on camera towards the end of the game, with footage showing someone in the away section winding up a throw before sending a red seat flying through the air – across the divide of dozens of security staff and police officers and into the Dons supporter section. Trouble in the stands as a seat is thrown into the Aberdeen area of fans after full time. It is not yet known if anybody was injured by the projectile. Last week, police urged fans to behave responsibly during the quarter final fixture, and warned that anyone involved in any disorderly behaviour or violence would be “dealt with robustly”. A police spokeswoman said officers are currently reviewing reports of incidents. 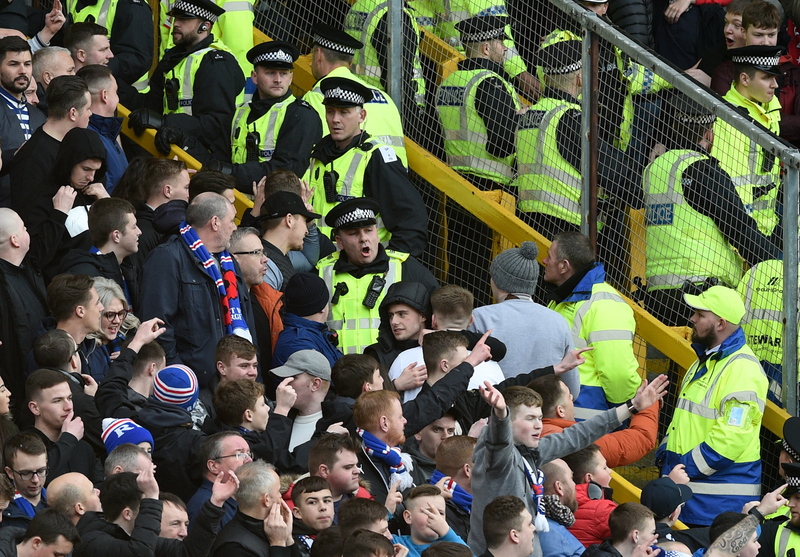 Yesterday, the Scottish Government’s justice secretary Humza Yousaf vowed that “nothing was off the table” when it came to dealing with thuggish behaviour by fans, in advance of a review of policing at football matches in Scotland, which is due this week. The new report, commissioned last September, has been led by South Yorkshire chief constable Mark Roberts and will consider a raft of possible measures to tackle poor behaviour in the sport. A fan and Police officers clash. The review was ordered following an incident at Celtic Park, after an Old Firm game when five people required medical treatment. Mr Yousaf said: “When it comes to tackling unacceptable conduct at football, governing bodies and individual clubs must take serious measures to tackle this unacceptable behaviour. However, it would be foolish not to also consider what additional action could be taken. “We will continue to consider the full range of options and I will listen to ideas from across the parliamentary chamber, be it strict liability or exploring what can be done within current licensing laws. Trouble in the stands between Rangers fans and Police. 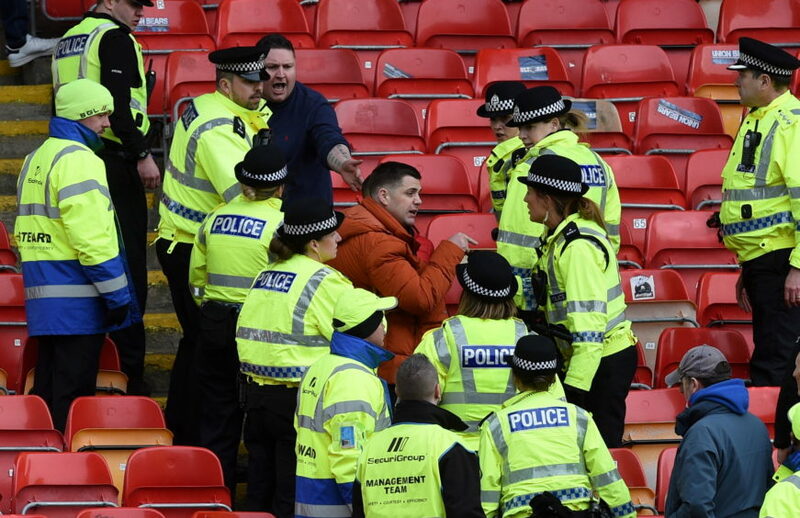 An Aberdeen FC spokesman said the club will work with police and comb through all of the available footage to identify those responsible for yesterday’s seat-throwing.